The former England batsman will call time on his career at the end of the 2018 domestic season. 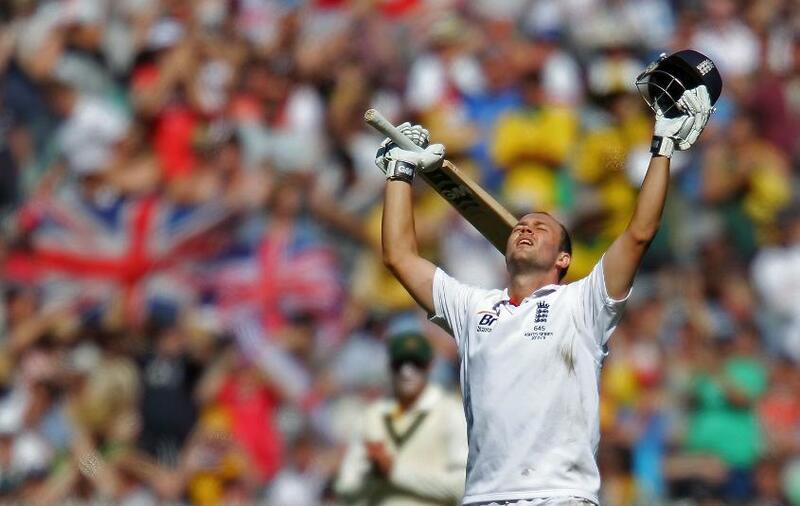 Jonathan Trott has announced he will be retiring from professional cricket at the conclusion of the English domestic season. Trott scored 3,835 runs at an average of 44.08 in 52 Tests for England, the last of which came in 2015 against the Windies. After scoring a century on debut in the 2009 Ashes – the first of three series wins over Australia in his career – he played a key role in helping England reach No.1 in the ICC Test Rankings in 2011, winning the Sir Garfield Sobers Trophy at the ICC Awards later that year. He will be perhaps most fondly remembered by England fans for his batting feats in the 2010/11 Ashes, when he scored 445 runs at 89, including centuries at Brisbane and Melbourne. The Cape Town-born right-hander also has a formidable ODI record, scoring 2,819 runs at 51.25. No England batsman past or present can boast a higher average. The 37-year-old has continued to impress in domestic cricket for Warwickshire since departing the international scene, topping 1,000 first-class runs for the season for the eighth time in his career in 2017. "I’ve been fortunate to have enjoyed a great career with Warwickshire and England and I am very grateful for all of the support that I have received from my fellow players, coaches and management who I have worked with," said Trott. “Choosing to retire at the end of the season is something that I have spoken about at length with my family and this is now the right time to look at the next chapter of my career. 🚨📣 BREAKING: Warwickshire legend Jonathan Trott to retire at the end of 2018 season. “Warwickshire CCC is a very special club and I’ve been immensely proud to have worn the Bear & Ragged Staff throughout my career." Ashley Giles, the former England spinner who is now sport director at Warwickshire, said: “Trotty will be remembered as one the greatest batsmen to have played for Warwickshire and England in the 21st century. “At international level he played a major role in one of the best England teams of the last 50 years; a team that went top of the world rankings, but which also won the Ashes in Australia for the first time in 25 years. Trott will hope to add to his tally of 44 first-class centuries before the campaign is out.